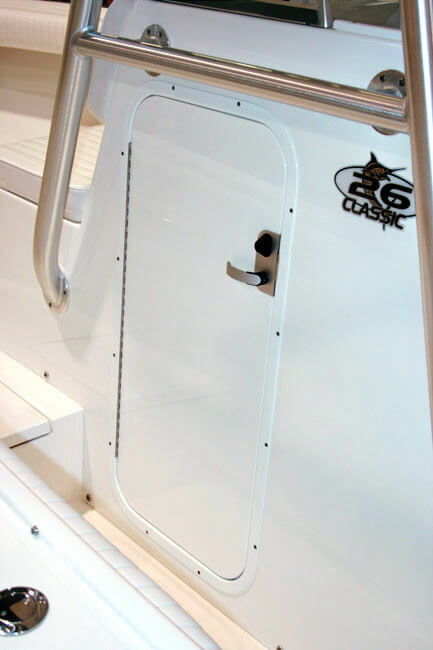 Teak Isle designs and manufactures powder coated aluminum framed center console entry doors using CNC cut poly and acrylic substrates. 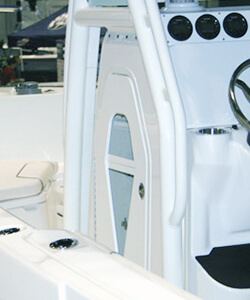 With the ability to create custom sizes and shapes our design team is able to maximize entry space while maintaining console style lines. 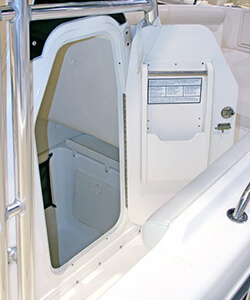 We offer water resistant integrated seals, and optional vented louvers to allow air circulation. 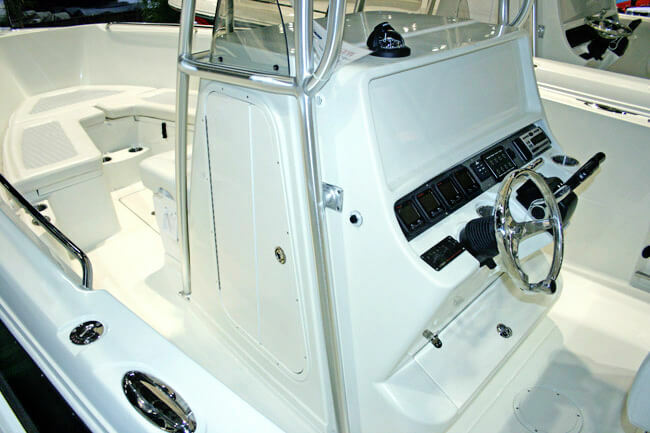 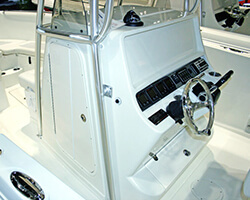 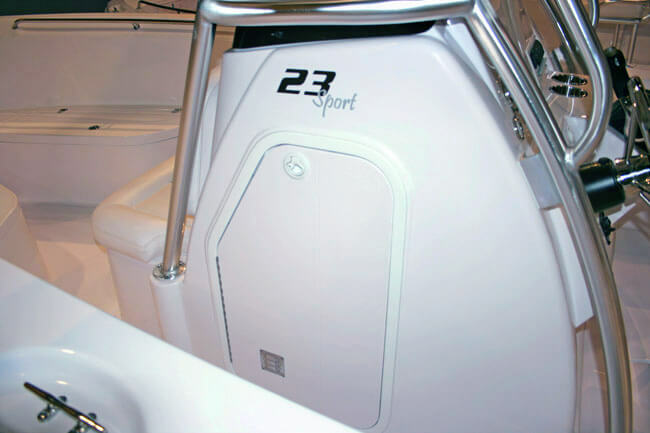 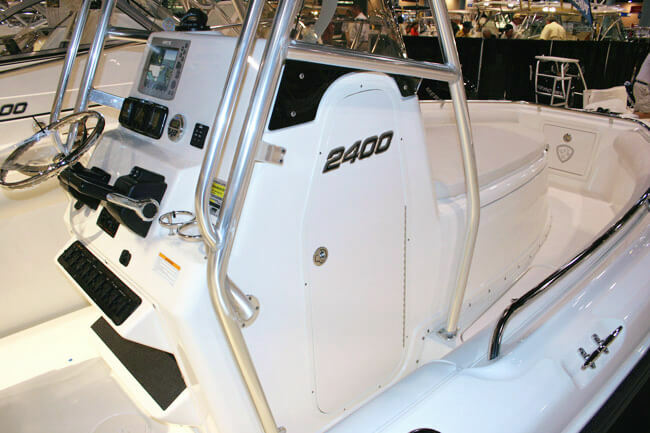 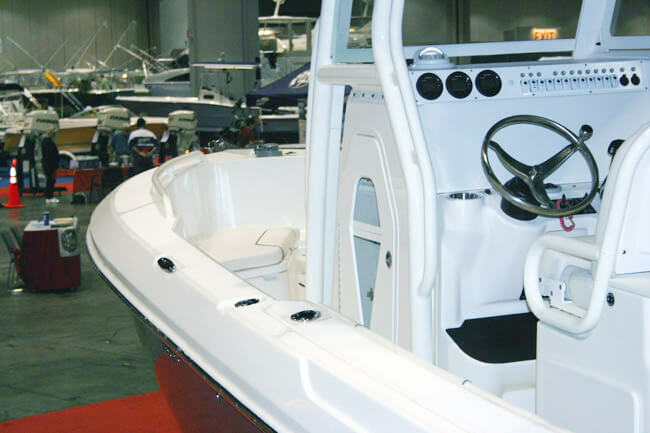 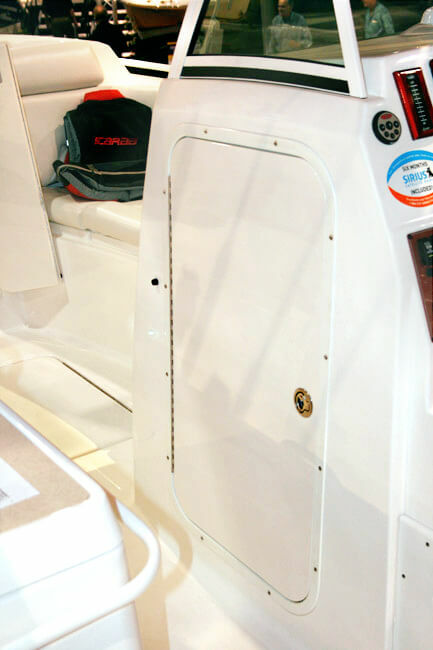 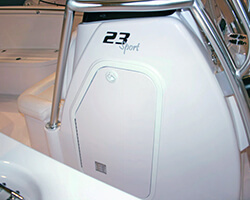 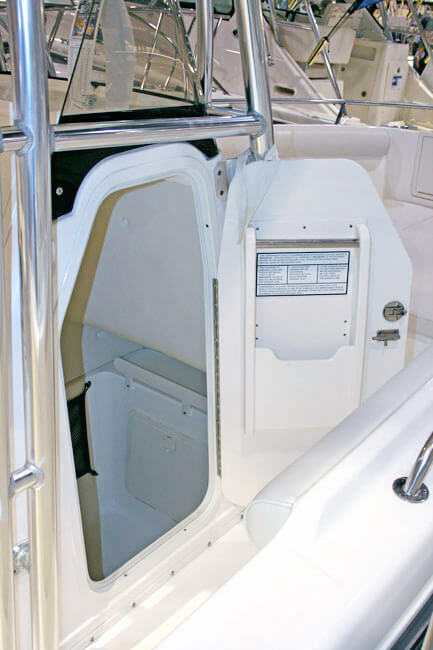 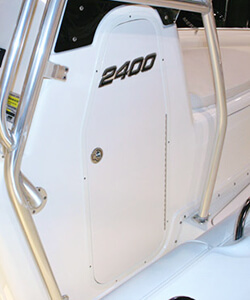 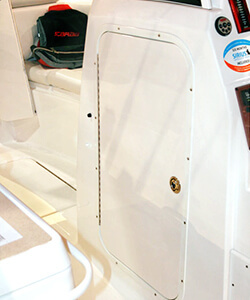 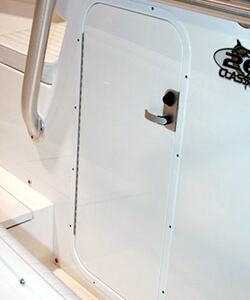 Various console designs can also be utilized in deck boat and dual console installations.